In order to update your credit card go to your Mindvalley Account and from the left menu choose My Profile, then Billing Section. 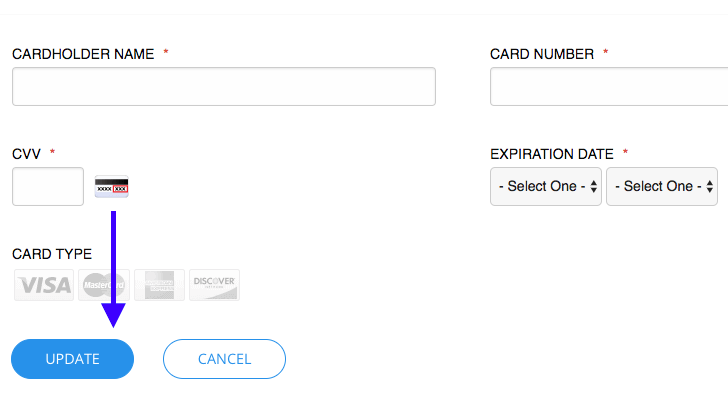 Click on the update button and after filling in your new card details save changes. For some orders, you might not be able to do that from your dashboard and in those cases, the credit card changes are done by our Customer Support agents. Contact our Customer Support and our Agents will get back to you within soon.